rediff.com: Bollywood's heroes in tights! What's a superhero without his super suit? All muscle, no jazz! Imagine how dull all the fancy dress competitions and Halloween parties would be, if it weren't for their ingenious wardrobe. But, unlike a Batman or Spidey, Bollywood's fantastical bandwagon still has a long way to go. Don't recall much of Shashi Kapoor's extravagant Indo-Russian fantasy flick? Fair enough. 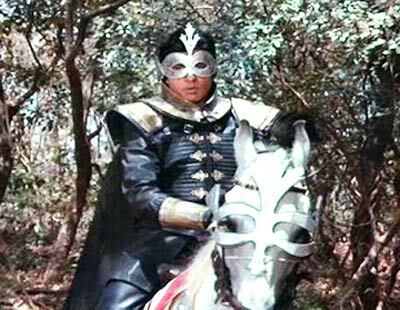 But you just can't get over Amitabh Bachchan sporting the tacky, ill-fitting version of leathered knight meets halfway Tinman. Accessorising this monstrosity is a silvery rexine eye mask with a curvy trident bursting from the middle. Some ajooba, this!